With the growth in international trade, business and industry, ethics has emerged as a challenge to the business community. Trust is an important theoretical stand, but the concepts of trust are still ambiguous. 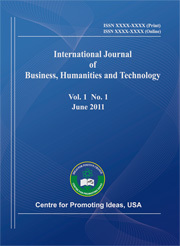 A quantitative and explanatory study was conducted to assess the relationships between trust and unethical negotiation. AMOS software was used to test both the measurement and the structural models that related to the research hypotheses listed. All the values of the standardized parameter estimates were negative, and the t-values were significant which indicate that trust has a negative relationship with traditional competitive bargaining, false promises, and inappropriate information gathering. For long-term relationship built, trust will be an important and significant factor for both parties. Future studies could employ a qualitative method to add value to the current findings, and the sampling plan could be expanded to other industries.